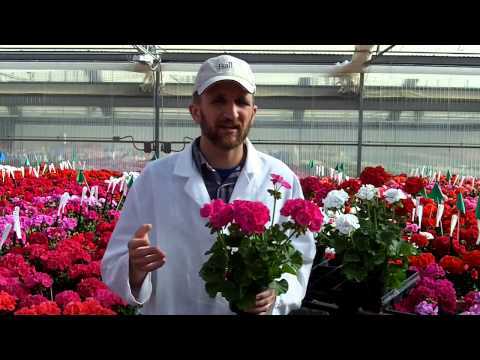 Dynamo is the powerhouse among zonal geraniums: all the key colors you need in a uniform series. Matches for habit, flower timing and branching to ship all at once. Powerful first flush of color with more continuous blooms per plant. NEW Orange: Bright, vibrant orange, with excellent garden performance compared to all other zonals on the market. Replaces Allure Tangerine and Allure Hot Coral. 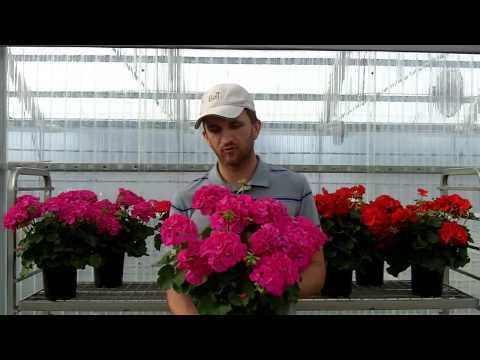 NEW Pink Flare: Bright bicolor blooms with superior garden performance when compared to other medium green-leafed zonal geraniums. NEW Red Improved: Larger flower size with a deeper color saturation. Plant Growth Regulators (S) = spray / (D) = drench: Cycocel(S) 750-1,000 ppm to control growth; Florel (S) 200-300 ppm to improve branching.